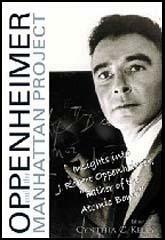 Julius Robert Oppenheimer was born in New York City on 22nd April, 1904. His father, Julius Oppenheimer, was a German Jewish immigrant who made a fortune in clothing manufacture. As a child Oppenheimer attended the Ethical Culture Fieldston School. The writer, Algis Valiunas, has observed: "For ten years he attended the Ethical Culture School, which epitomized Jewish high bourgeois secular liberalism, concerned with the plight of the poor, guided by ideals of social justice, relentlessly hopeful, earnest, and progressive; Ethical Culture Society members promoted women’s suffrage and the prohibition of alcohol, and took part in the founding of the ACLU and the NAACP." Oppenheimer studied chemistry at Harvard University but emerged three years later as an experimental physicist. He moved to Cambridge University where he worked with Ernest Rutherford . During this time he met Nils Bohr in Sweden. Oppenheimer completed his Ph.D. at Göttingen, where he worked under Max Born. Oppenheimer returned to the USA in 1929 and over the next few years worked at the University of California. In 1936 he began a relationship with Jean Tatlock, a member of the American Communist Party. He later recalled: "I began to court her, and we grew close to each other. We were at least twice close enough to marriage to think of ourselves as engaged." Although he never officially joined the party, he did support some of its policies. He developed a strong interest in politics and actively campaigned against the growth of fascism in Nazi Germany. He later explained that in 1936: "I woke up to a recognition that politics was a part of life. I became a real left-winger, joined the Teachers Union, had lots of Communist friends... I'm not ashamed of it; I'm more ashamed of the lateness." On the death of his father in 1937 he inherited $300,000. Some of this money was donated to liberal causes. Oppenheimer was a strong supporter of the International Brigades during the Spanish Civil War. Influenced by the research carried out by Nils Bohr, Lise Meitner, and Leo Szilard, Oppenheimer began to seek a process for the separation of uranium-235 from natural uranium and to determine the critical mass of uranium required to make an atom bomb. Algis Valiunas has pointed out: "Oppenheimer’s style of intelligence was perfectly suited to the seminar room: he possessed a mind quick as a striking cobra, capable of penetrating to the essentials of a new discovery while lesser men were fogged in by the details, recognizing straightaway the practical implications of abstruse theorizing, so thoroughly versed in the various relevant fields that concision and exactitude in explanation came naturally as breathing, and graced with a charm that captivated serious persons and drew the best out of them." In 1939 Oppenheimer met Katherine Harrison, the former wife of Joe Dallet, a leading figure in the American Communist Party, who was killed at Fuentes de Ebro during the Spanish Civil War. He ended his relationship with Jean Tatlock and after she obtained her divorce from her third husband, they were married in 1940. The couple had two children: Peter (1941) and Katharine (1943). According to an article in Time Magazine: "Mrs. Oppenheimer made him have his suits pressed occasionally, and persuaded him to wear tweeds and even sport jackets in a variety of colors besides his traditional blue-greys. She got Robert to cut his hair shorter & shorter (he wears a crew cut now). He started eating three meals a day and stopped staying up all night except on rare occasions." 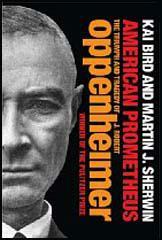 In 1943 Oppenheimer was appointed director of the Manhattan Project where he worked with Edward Teller, Enrico Fermi, David Bohm, James Franck, Emilio Segre, Felix Bloch, Rudolf Peierls, James Chadwick, Otto Frisch, Eugene Wigner, Leo Szilard and Klaus Fuchs in developing the atom bombs dropped on Hiroshima and Nagasaki. Oppenheimer was appointed as chairman of the General Advisory Committee of the Atomic Energy Commission. He was now fully aware of the dangers of radioactivity caused by nuclear explosions and in October, 1949, he controversially opposed the development of the hydrogen bomb. Oppenheimer regarded it as a genocidal weapon and he argued that its only conceivable purpose would be the destruction of civilian populations in the tens or hundreds of millions. Oppenheimer was a victim of McCarthyism and in 1953 he was accused of being closely associated with communists in the 1930s and 1940s. This included his relationship with Jean Tatlock and his wife, Katherine Oppenheimer. A security hearing decided he was not guilty of treason but ruled that he should not have access to military secrets. As a result he was removed from the Atomic Energy Commission. This created great controversy and 493 scientists who worked on the Manhattan Project signed a protest against the verdict. In 1959, the University of Colorado gave him a job teaching physics. He later designed the Exploratorium Science Museum in San Francisco. In 1963 Oppenheimer was forgiven for his left-wing past when Lyndon B. Johnson awarded him the Enrico Fermi Award. Julius Robert Oppenheimer died of throat cancer on 18th February, 1967. In the spring of 1936, I had been introduced by friends to Jean Tatlock, the daughter of a noted professor of English at the university; and in the autumn, I began to court her, and we grew close to each other. We were at least twice close enough to marriage to think of ourselves as engaged. Between 1939 and her death in 1944 I saw her very rarely. She told me about her Communist Party memberships; they were on again, off again affairs, and never seemed to provide for her what she was seeking. I do not believe that her interests were really political. She loved this country and its people and its life. She was, as it turned out, a friend of many fellow travelers and Communists, with a number of whom I was later to become acquainted. I should not give the impression that it was wholly because of Jean Tatlock that I made leftwing friends, or felt sympathy for causes which hitherto would have seemed so remote from me, like the Loyalist cause in Spain, and the organization of migratory workers. I have mentioned some of the other contributing causes. I liked the new sense of companionship, and at the time felt that I was coming to be part of the life of my time and country." Until 1936, Oppenheimer had never even voted; he was "certainly one of the most unpolitical people in the world." But in the depression he watched young, finely trained physicists cracking up because they were unemployed; he also heard about relatives forced to leave Nazi Germany. Says Oppenheimer: "I woke up to a recognition that politics was a part of life. I became a real left-winger, joined the Teachers Union, had lots of Communist friends. It was what most people do in college or late high school. The Thomas Committee doesn't like this, but I'm not ashamed of it; I'm more ashamed of the lateness. Most of what I believed then now seems complete nonsense, but it was an essential part of becoming a whole man. If it hadn't been for this late but indispensable education, I couldn't have done the job at Los Alamos at all." Comes the Revolution. It was at a Pasadena party in 1939 that Robert Oppenheimer, then 35, met Katherine Puening Harrison. A small, German-born brunette, Mrs. Harrison was the wife of a radiologist, and herself a graduate student in plant physiology at U.C.L.A. A year later, after the Harrisons were divorced, Kitty and Robert were married. Of the subsequent revolution in his habits, Oppenheimer says: "A certain stuffiness overcame me." Mrs. Oppenheimer made him have his suits pressed occasionally, and persuaded him to wear tweeds and even sport jackets in a variety of colors besides his traditional blue-greys. She got Robert to cut his hair shorter & shorter (he wears a crew cut now). He started eating three meals a day and stopped staying up all night except on rare occasions. At Princeton, Mrs. Oppenheimer has had a greenhouse installed at the Institute's 18-room Olden Manor. But she has abandoned her own studies to run the house, and look after the children (a boy, Peter, 7, and a girl, "Toni," going-on-4). Oppie, who has a theory about everything, has formulated one for raising children: "Just pour in the love and it will come out." (3) Robert Oppenheimer, interviewed for a television documentary in 1965. We were a true community of people working toward a common goal. I think that irrespective of what was done with it, irrespective of what was to come of it, it was clear that this was a very major change in the human situation, and the people were playing a part in history. We started out by thinking that it might make the difference between defeat and victory, and ended by thinking that it might make a difference between a world periodically convulsed by increasingly ferocious global wars and a world in which there will be none. I was almost wholly divorced from the contemporary scene in this country. I never read a newspaper or a current magazine like Time or Harper's; I had no radio, no telephone; I learned of the stockmarket crack in the fall of 1929 only long after the event; the first time I ever voted was in the presidential election of 1936. To many of my friends, my indifference to contemporary affairs seemed bizarre, and they often chided me with being too much of a highbrow. I was interested in man and his experience; I was deeply interested in my science; but I had no understanding of the relations of man to his society. (5) Paul Tibbets was interviewed by Studs Terkel in the Guardian on 6th August 2002. Studs Terkel: And now you're training. And you're also talking to physicists like Robert Oppenheimer (senior scientist on the Manhattan project). Paul Tibbets: I think I went to Los Alamos (the Manhattan project HQ) three times, and each time I got to see Dr Oppenheimer working in his own environment. Later, thinking about it, here's a young man, a brilliant person. And he's a chain smoker and he drinks cocktails. And he hates fat men. And General Leslie Groves (the general in charge of the Manhattan project), he's a fat man, and he hates people who smoke and drink. The two of them are the first, original odd couple.